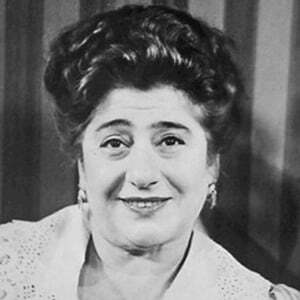 American actress and screenwriter who won the Tony Award for Best Actress for 1959's A Majority of One. She developed a skit into a radio show to support her family after the factory where her husband worked burned down. She was cast as the lead actress of her own radio show when an executive said he couldn't read her writing and had her perform it aloud. She had two children with her husband, Lewis Berg. Patsy Cline performed her song That Wonderful Someone on her debut album.